Founded in 1902, the American Urological Association (AUA) is a premier urologic association, providing invaluable support to the urologic community. The AUA Annual Meeting is the largest gathering of urologists in the world, delivering unparalleled access to groundbreaking research, new guidelines, and the latest advances in urologic medicine. Melissa Goodman, AUA Programs Manager, and her team member, Erin Nichols, wanted a better way to track learner retention at the Annual Meeting. They wanted to set up benchmarks that determine learner knowledge before, during, and after each session. Why track learner knowledge, retention, and outcomes? Before we get to the details, let’s first tackle why Goodman and Nichols wanted to track learner knowledge and retention. The first reason they want to track learner outcomes is to identify gaps in knowledge and retention. By gathering data on learner knowledge before the conference, they can tailor content to those needs. Understanding gaps in knowledge during sessions allows speakers to react in real-time and fine tune their presentations to facilitate understanding. Following up with learners gives AUA the opportunity to understand which topics weren’t focused on heavily enough because retention was low in certain areas. All of this together is a powerful combination. AUA is able to fine-tune the learner experience as they go along and deliver content to attendees that they want and need. It takes the guesswork out of conference programming and allows planners to strategically react to learner needs. The second reason AUA tracks learner outcomes is to deliver a better educational experience to attendees. They want attendees to be more involved in sessions and participate in educational activities. The goal is to deliver a personalized experience to a large group of people. Okay, now that we have a better understanding of AUA’s motivations, let’s explore their challenges and solutions. The first challenge was that Goodman and Nichols wanted to source questions directly from speakers. They wanted experts in their fields to be able to contribute directly to the live engagement, but didn’t want to email every speaker individually to source this information. Enter CadmiumCD. 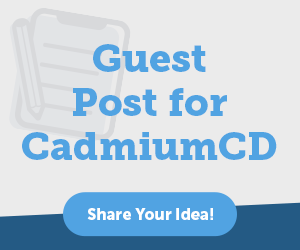 CadmiumCD has a product called the Conference Harvester, which allows planners to build custom tasks. Speakers then log in and complete these tasks by completing forms and uploading materials. The tasks themselves are designed to be easy to complete in under 5 minutes. “It’s an effective way to manage busy speakers and collect the content you need,” Goodman says. AUA used this tool to collect questions for the audience response system before the conference. Speakers could then use a PowerPoint plug-in to trigger live polling during their sessions, which would bring up the questions they submitted pre-conference. At the beginning of each participating session, speakers polled attendees with 5-10 questions and showed the results in real-time. They used a plugin for PowerPoint developed by CadmiumCD to launch the poll. Attendees had direct access to answer questions in the eventScribe App. The poll would begin on their smartphones and tablets as soon as the speaker triggered it. Speakers then delivered their presentations, and shared research and knowledge, before running a second round of live polls. This one was to test knowledge again directly after they delivered relevant information. Attendees could see how much their knowledge improved and AUA had a solid record of learner activity and knowledge gained. Using live polling also provides the opportunity to run case scenarios. Melissa Goodman describes these as “What would you do?” type questions. Another benefit of the eventScribe Audience Responses System is that it comes equipped with a questions and answers tool. Attendees can pose questions via the app and other attendees in the session can upvote the best questions. The final piece to successful benchmarking is to follow up after the event to determine retention. AUA uses a survey tool, similar to the Survey Magnet, to reach out after the conference. They use this to determine where attendees’ knowledge ends up in the long run. This helps AUA gauge how well their attendees are responding to and using information delivered in their programs. It shows where attendees are lacking retention, so they can continuously build educational programs that are relevant to attendees. All in all, AUA has built a process that helps them deliver exceptional experiences and education to their attendees. 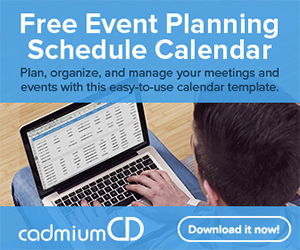 CadmiumCD’s Conference Harvester and eventScribe platform are essential components of this process. Together, CadmiumCD and AUA have formed a partnership that maximizes success for all stakeholders. One Response to " How AUA Tracks Learner Retention with Live Polling "